KHOVD, MONGOLIA: Nutsgee Laghvadorj, 15, is a herder’s daughter. She lives in the Myangad soum (county) of Khovd aimag (province), about twenty kilometers away from the nearest school, across dirt roads and without any reliable transportation. 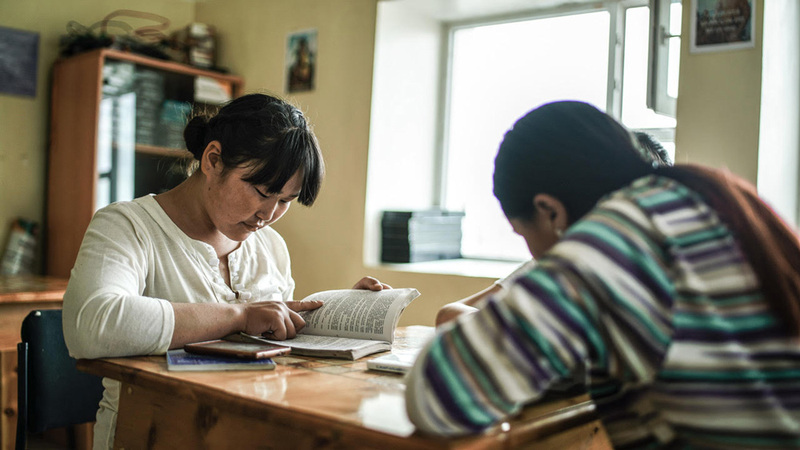 Many of the families in Myangad soum live so far away from the school that young students, like Nutsgee, must live in a dormitory nine months a year to receive an education. Without good roads and access to transportation, students only travel home from the school for holidays and summer vacation. Nutsgee is fine with that, as her education is important to her and her family: she wants to be an economist and study math, but it was hard to study in a dormitory that hasn’t been updated since 1975. The Myangad soum school dormitory, built in 1975. “Mostly, I wanted to go home, but because of school, I stayed,” she says. At the dormitory, there was no place that Nutsgee, her siblings, or her friends could put their things. For lack of a chair, Nutsgee would study on the floor of her room. The doors wouldn’t lock — or even close. In the dormitory’s library, Nutsgee and friends read books and play chess. Before the program’s implementation, this was the only space where they could work. 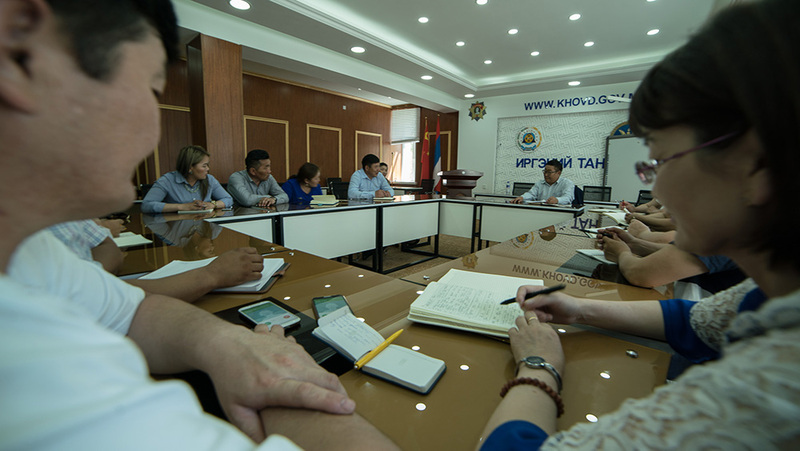 In 2016, Mongolia committed to improving health and education services through social accountability, having citizens report on the services they received and work with the government and local partners to make changes — all part of its Open Government Partnership action plan. Ten provinces took part in the initiative, “Mainstreaming Social Accountability in Mongolia,” run by the World Bank. They worked to implement a vast array of reforms: improved dental health, better patient care in hospitals, and improved schools and teachers. 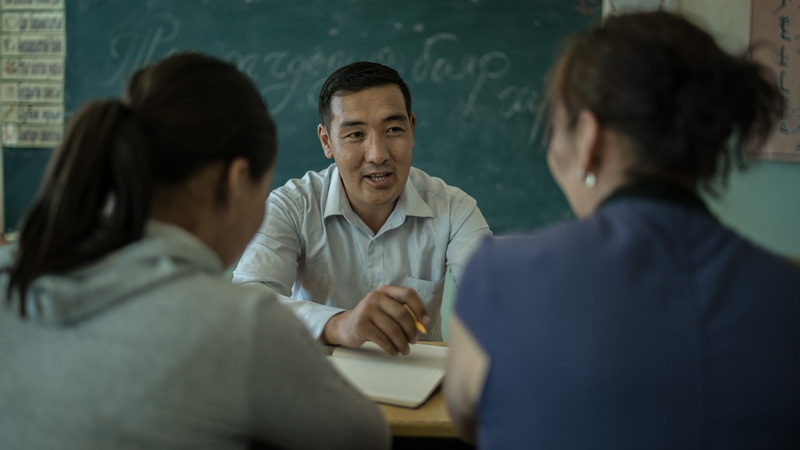 In Myangad and the surrounding province, the Mongolian Education Alliance (MEA) organized trainings for local citizens, educators, government officials, and the private sector to teach them how to involve citizens and report on education services – and how they could improve them through collaboration and co-creation. The community stepped up to the challenge. They talked about what was wrong with their school — and pinpointed the dormitory as a hurdle. 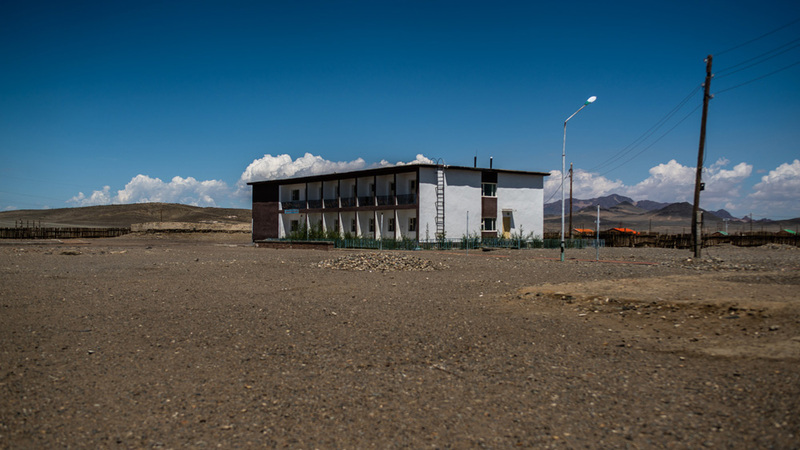 Parents, teachers, and administrators collaborated with the local government, civil society organizations, and businesses to improve the dormitory. Her neighbors in the dormitory saw their rooms fixed, too. A local bank refurbished one room; another herding village fixed another. Along with the dormitory, students’ prospects have improved. Grades have gone up, and several students have won national competitions. Quality of life in the dormitory has improved. Nutsgee smiles when she talks about her “new” dorm room. 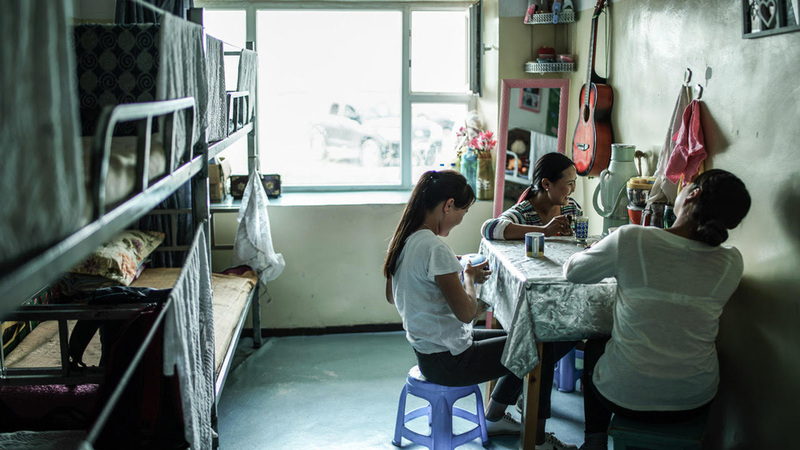 “Now that [the dormitory] has a home-like environment, there is motivation to study and my feelings of wanting to go home has decreased,” she says. The school’s principal, Jamsranjou Batsaikhan, beams with pride when he talks about Nutsgee and his students. He’s got a good working relationship with the government now. Chadraabal visits regularly, having realized how fruitful collaboration with citizens can be. A group of stakeholders from the province meet to discuss the implementation and future of the project at the province’s education department headquarters. Nutsgee reads a book on her bed in her repaired dorm room. Nutsgee and friends enjoy tea at the table in her dorm room. Before the project’s implementation, they had no place to relax and enjoy each other’s company. Now, they are happy and comfortable. Principal Batsaikhan meets with parents and students in a classroom at the Myangad school. Since the program’s implementation, grades have improved and parents have become more involved in school activities and governance. 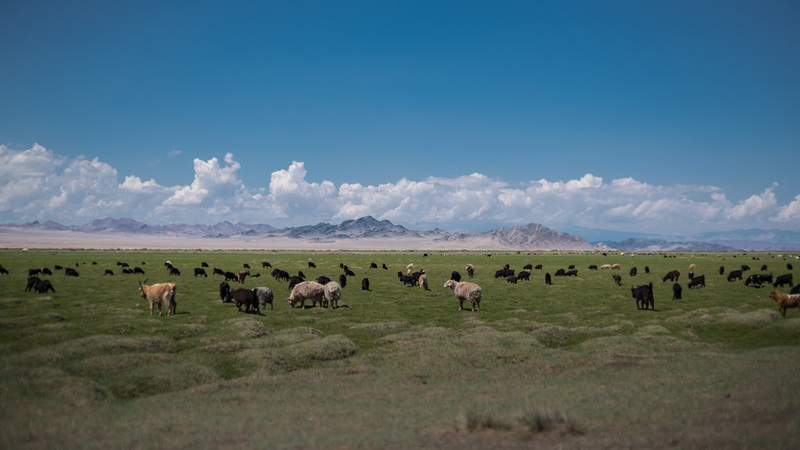 The majority of Mongolia’s rural citizens are herders, reliant on animals like sheep and goats for both sustenance and income. OGP wishes to recognize and thank the World Bank staff who helped on this project: Amarbayasgalan Dorj, Kristina D’Aquino, and Indra Baatarkhuu. Additionally, we thank the Mongolian Education Alliance, the Governor’s Office of Myangad Soum, Danaajav Narandorj of the Khovd aimag government, the people and students of Myangad Soum, and the Government of Mongolia for their gracious support and assistance.